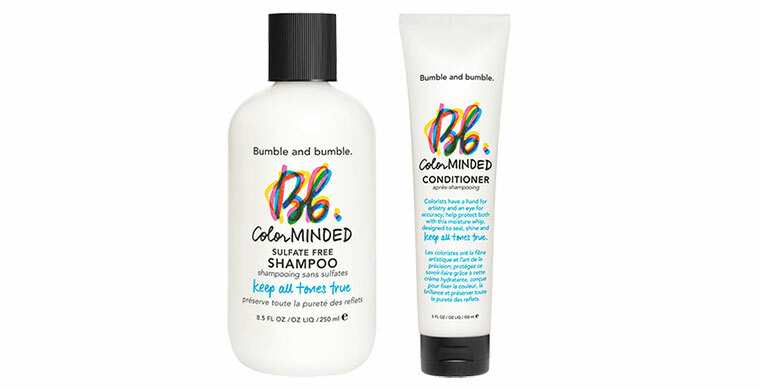 WHAT: This sulfate free, ultra-mild cleanser protects color’s integrity and prolongs vibrancy and brilliance with our very own Color Preserving Complex, designed to prevent fading and eliminate color washout. WHAT: A moisture whip so rich, it moonlights as a masque. Prevents color fading with the highest concentration of our very own Color Preserving Complex. Prolongs hair’s vibrancy and brilliance while providing lightweight, yet deep conditioning. WHEN: Every time you wash your hair, following Color Minded Shampoo.